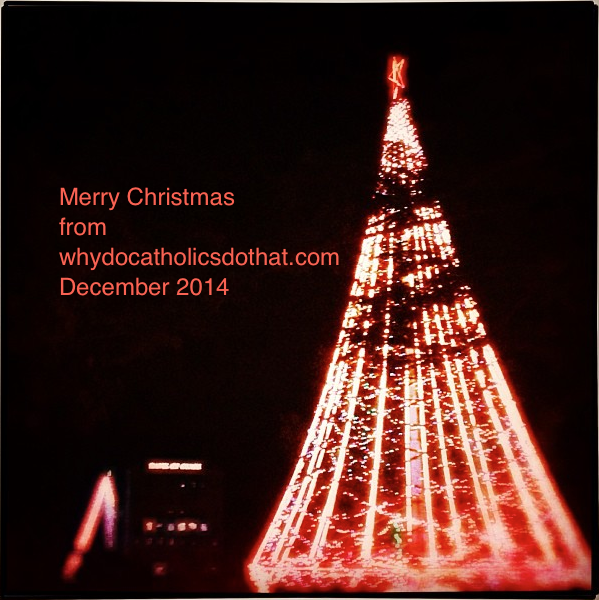 2014 December | whydocatholicsdothat.com Blog– Pray. God is waiting. 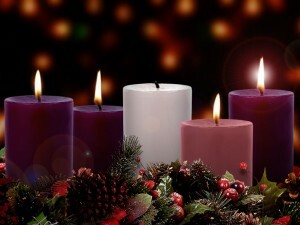 The Twelve Days of Christmas are the days from Christmas until the beginning of Epiphany (January 6th; the 12 days count from December 25th until January 6th). On the updated calendar — since Ephiphany is celebrated on a Sunday — these days may be more or less. We have 19 days on the tree this year because the Christmas season extends until the feast of the Baptism of Christ and we have decided to include them all. The origin of the Twelve Days is complicated, and is related to differences in calendars, church traditions, and ways to observe this holy day in various cultures. 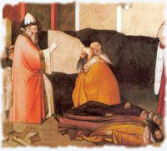 In the Western church, Epiphany is traditionally celebrated as the time the three Wise Men or Magi arrived to present gifts to the young Jesus. In some cultures Epiphany is observed as Three Kings Day, or simply the Day of the Kings. Even though December 25th is celebrated as Christmas in these cultures, Epiphany is often the day for giving gifts. In some places it is traditional to give Christmas gifts for each of the Twelve Days of Christmas. “A certain nobleman went into a far country to receive for himself a kingdom and to return” (Luke 19:12). This nobleman is Christ, the Son of God, King of all nations. His kingdom is over all men and over all things, both material and spiritual. He has everything in His hand as God and man. But another, Satan, has broken into His kingdom and has made himself master of many of Christ’s subjects. In the old dispensation only a small part of humanity, the chosen people, remained faithful to the almighty King. Christ, the Son of God, came into this “far country” in order to become man and, by means of humility, obedience, and poverty, to cast out the usurper who had taken His subjects. He came to reassert His dominion over all those who had left Him, both Jews and Gentiles. The feast of St. Peter Canisius, which is ordinarily celebrated today, is superseded by the Sunday liturgy. “Rejoice: the Lord is nigh.” As Christmas draws near, the Church emphasizes the joy which should be in our hearts over all that the birth of our Savior means for us. The great joy of Christians is to see the day drawing nigh when the Lord will come again in His glory to lead them into His kingdom. The oft-repeated Veni (“Come”) of Advent is an echo not only of the prophets but also of the conclusion of the Apocalypse of St. John: “Come, Lord Jesus,” the last words of the New Testament. Today is known as Gaudete Sunday. 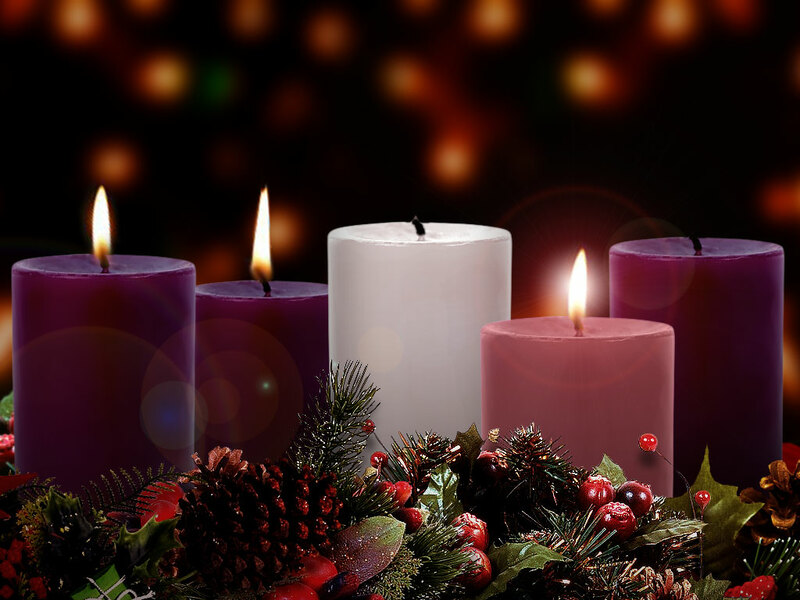 The term Gaudete refers to the first word of the Entrance Antiphon, “Rejoice”. Rose vestments are worn to emphasize our joy that Christmas is near, and we also light the rose candle on our Advent wreath.